Linz, 30.10.2018: For the project ASSET, the Linz Center of Mechatronics GmbH was awarded for the Prize for Innovation Upper Austria under the category Research & Development. The Linz Center of Mechatronics GmbH has developed a product information system in the ASSET project. The app should help to make the individual shopping decision easier. After entering their own parameters, consumers immediately get an overview of individually assessed products. 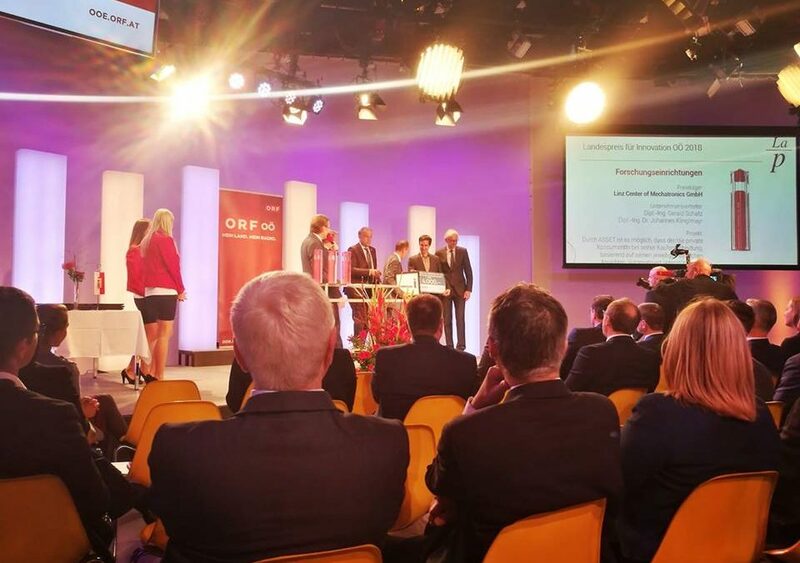 DI Gerald Schatz (Managing Director, Linz Center of Mechatronics GmbH) and Dr. DI Johannes Klinglmayr (Project Manager, Linz Center of Mechatronics GmbH) received the award in the Upper Austrian ORF studio.